Panasonic 2014 TVs: sizes, prices, specs, pictures, release dates | What Hi-Fi? All the details of Panasonic's 2014 TV range, including a new 4K range, LED sets and a brand new smart TV platform. Panasonic used its press conference at CES to launch its 2014 TV line up, including a new 4K range and five new LED Series. 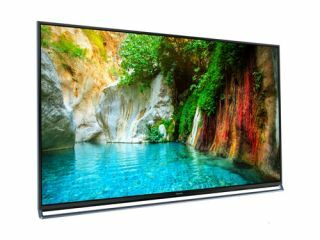 Though Panasonic’s much-loved plasma screens were, as expected, nowhere to be seen in the 2014 line-up, Panasonic did promise its new sets would deliver plasma-level picture quality using LED technology. It also unveiled its redesigned smart TV platform, Life+ Screen, which will feature on all 2014 smart TV ranges. Building on the personal customisation improvements we saw last year with My Home Screen, Panasonic Life+ Screen offers a number of new features. First, MyStream will learn the preferences of individual users and offer personalised content recommendations from live TV and on-demand services. To speed up the TV's learning process, a button on the remote will allow users to 'like' programmes - information the TV's algorithms will use for future recommendations. It also brings with it improved voice navigation for programme discovery, and an auto-wake feature that can wake the TV from sleep when it senses someone in the room. It will display useful information such as time, date and weather along the bottom of the screen, plus personalised content for that person via facial recognition - a feature called Info Bar. All these new additions join My Home Screen, which remains a large part of Panasonic's smart TV experience going in to 2014, with lots of new skins available for download to make your TV truly your own. All sets are due to be launched a little later than usual, with expected release around April in the UK. Here's a complete rundown of the 14 TVs announced with the information we currently have – we’ll update this story with more as we get it, including UK prices as soon as we have them. Aims to provide rich, accurate colour reproduction, thanks to a newly developed high-colour-space LED backlight. This should achieve a wider, close-to-plasma colour gamut – even in low brightness. Promises high contrast and rich gradation getting deep blacks without the loss of detail. These sets will be edge lit, with direct LED prototypes potentially launching later. High performance image-processing engine processes corrections more precisely, and offers the ability to upconvert lower-resolution images to 4K from virtually any source. *This Series does not feature Life+ Screen.